Big Tea in the Congregational School Room. See note below. Photo courtesy of V. Hopkinson. Big Tea in the Congregational School Room. 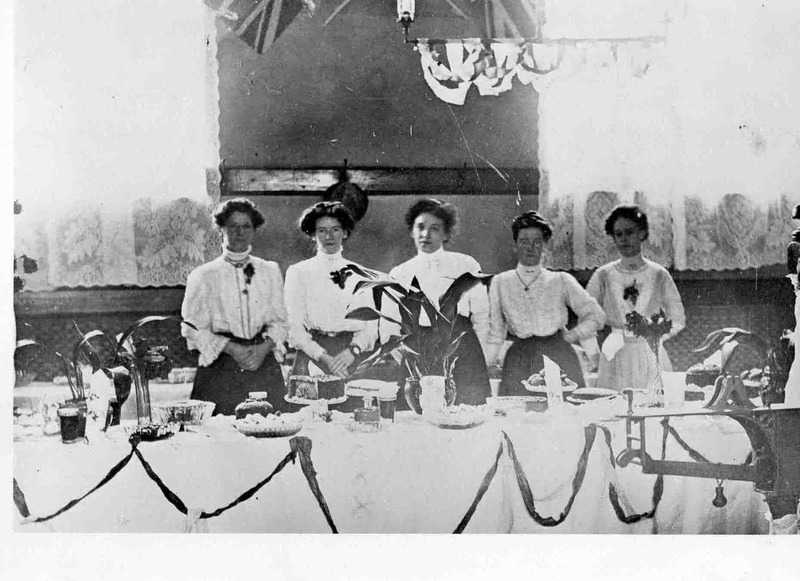 Maud Childs, Leah Childs, Jennie Batty, Polly Hopkinson, Lizzie Hall. Gas fittings, lace curtains and aspidistras. Was this to commemorate the Coronation in 1911?